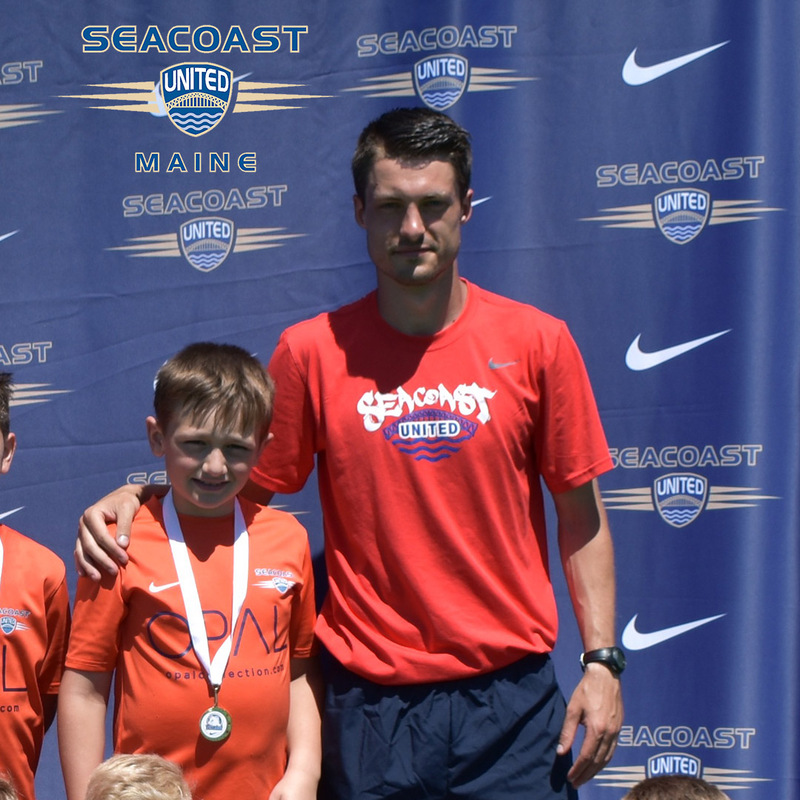 This week’s “Get to Know” article, we will be learning more about Seacoast United Maine South staff member, Scott Jarosz. Scott will be coaching the clubs 2009 Boys Premier Pool, 2010 Boys Premier Pool teams and assisting the 2005 Boys NPL team for the 2018/19 season. Not entirely sure where to start. I was born in Portland, ME, but my hometown is the small seaside town of Walmer, England. I grew up living in the United States and England. I spent just under a year living in Sicily, Italy when my dad was stationed there through the Navy. I grew up playing soccer, rugby and field hockey in England, and when we moved back to the US in 2006, I focused primarily on soccer. I went to Sage College of Albany for four years where I received my BS in Biology. During my junior year of college, I was named to the 2012 Capital One CoSIDA Academic All-American Team. I have a wonderful golden retriever who is called Chelsea, ironically, who follows me around everywhere when possible. I have been playing soccer since I was a toddler, but it was when I was living in England that my playing career started with two local club teams near where I lived. Once I moved to the US, I played for Coastal Soccer Club for two years until the merger with Seacoast Untied occurred. I played for Seacoast United Maine through U18. I went to Sage College of Albany and was in the first class to start the Men’s Soccer program. We won our first ECAC Upstate Championship my junior year and made our conference play-offs all four years I attended Sage. When I moved back to England in 2015, I played for local club out of Canterbury where I lived until I moved to the US in 2016. In 2018, I played for the Seacoast United Mariners NPSL team. I have been coaching since I was 18 with summer camps and then a developmental team. When I moved back to the US, I coached the 2005 Boys Premier Blue team during the 2016 Fall season and the 2001 Boys Premier White team during the 2016/17 and 2017/18 seasons. I am going into my second year coaching the 2009 Boys Premier Pool. 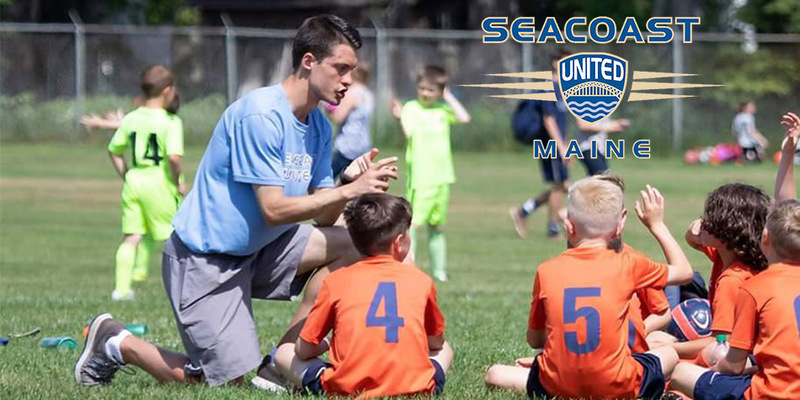 I am the current Director of Youth Programs at Seacoast United Maine. I currently hold my USSF National D License. The underlining reason that made me decide I wanted to start coaching was my passion and enthusiasm for soccer. Playing soccer was all I ever wanted to do when I was younger, and there was no way I was going to be able to stop being involved in the game. Coaching is one way I can stay within the game once my playing days are over. When I first moved back over to the US, my dad had contacted Jim Wade about me joining up with Coastal Soccer Club a couple years before the merger between Coastal and Seacoast. Once Coastal became Seacoast, I never played for a different youth soccer club. I played for Seacoast until the end of my freshman year of college. My loyalty to the club was never challenged by any other growing up. The few years after playing for Seacoast United Maine, I helped Jim Wade and Martyn Keen with summer camps until I eventually moved back to England in 2015. In 2016, I moved back to Maine and the club I was so loyal to in past years offered me a fulltime position. It seems to be Seacoast United Maine that keeps bringing me back to the state of Maine. This seems to be an impossible question to answer as I do not think there has been just one person who has influenced my career the most. I could easily start with mentioning the first soccer coach I had in England, John Bagley. John taught me the basics of the game and gave me the chance for my primary school team and our local club team, Eythorne Rovers. Without John, I probably would have never got into soccer. Martyn Keen is another person who has had a great deal of influence on my career from coaching me and mentoring me throughout my young career. Martyn coached me for several years and has had faith in me both on and off the field no matter what the situation. I have learned so much from Martyn over the years that I owe a great deal to him for being where I am now. The third person with a lot of influence on my career was my college coach, Kyle Clancy. During my time at Sage College, Kyle held the team to a very high standard on and off the field. I have adopted some of his philosophies in both soccer and life. Most notably “There are only two things you can control out on the field. Your effort and your attitude.” I have used this with every team I have coached, and I will continue to say this with every team I will coach in the future. If it were not for Kyle being one of the best coaches I have ever had, I would have stopped playing soccer in college and not be where I am today. Some of my best memories, while coaching, are those where players have concepts finally click in their heads, and they understand what they need to do in certain situations. My best memory during my short coaching career must be the 2018 Coastal Summer Challenge. Both my 2001 Boys and 2009 Boys had great weekends where both made it to the finals of their age groups. Both teams played the way I had been training them to play all season and everything seemed to “click” for all my players. My 2009 boys unfortunately lost in the final but played their hearts out and were able to create a lot of good chances against a very good Washington Cosmos teams. The 2001s played unbelievably in every game that weekend and finished by winning the final against a good Seacoast United NH team. I could not have asked for more from any of my players that weekend. Wayne Rooney was one of the few players I admired the most growing up. I loved watching him play with the passion and drive for the game that I have. He always wanted to be the one to score the goals for both United and England. Seeing a young player get the opportunity to play for one of the biggest clubs in the world was great to see and made me want to emulate him. I still remember trying to score volleys from outside the box like his strike against Newcastle back in 2005. When I am not playing soccer in my spare time, I enjoy taking my kayak out to get a workout in or to relax and fish for a few hours.